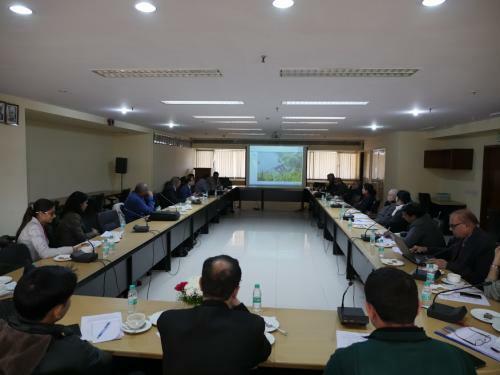 A workshop of 20 researchers and scientists from national institutions and agencies, called Knowledge for Flood Disaster Risk Reduction in India, was held at the Indian National Science Academy in New Delhi from February 10-12 to deliberate on India’s flood preparedness and governance. The outcome of the workshop is to be compiled into a white paper that the group hopes will inform India’s preparation and contingency plan in the future. “India is one of the most flood-prone countries in the world and yet our policy is only reactive. We have very poor planning in place to tackle flood risk so that loss of life and property are minimised. The objective of this workshop is to create a platform for inter-disciplinary cooperation so that a holistic plan can be formulated. Hopefully, the white paper can be published by July this year,” says A K Singhvi, honorary scientist at the Physical Research Laboratory and one of the organisers of the workshop. This would be the first such white paper for an all-round contingency plan for floods in India. Researchers from the Indian Institute of Tropical Meteorology, Geological Survey of India, United Nations Development Programme and the National Institute of Disaster Management among others put forth perspectives on India’s flood hazard, vulnerability, future scenarios and governance shortfalls during the three-day workshop. “Floods are not just about water but also about other environmental and social conditions that surround it. In India, it is further complicated by the diversity in these conditions and the multitude of landscapes. The vulnerability to floods in India is quite severe and the need of the hour is a comprehensive plan instead of a one-size-fits-all solution. There needs to be anticipatory planning rather than just responsive action,” says R J Wasson a geomorphologist and a professor of natural resource management at the National University of Singapore who has several decades of experience working in India. The white paper would go towards the implementation of the 2016 Indian Disaster Management Plan which was drafted on the lines of the internationally-agreed Sendai Framework-2015 for Disaster Risk Reduction by 2030.